A happy coincidence of the beer world is that Kent Green Hop Beers are ready to drink just in time for Cask Ale Week. We link up with CAW to make the Fortnight a part of the Week and this year we’re celebrating cask ale with an event at Fuggles Beer Café in Tunbridge Wells on Monday 29th September. Fuggles Beer Café started out in 2013 and has quickly developed an excellent reputation for serving great beer – with a focus on British and Belgian brews – along with fabulous meat and cheese. 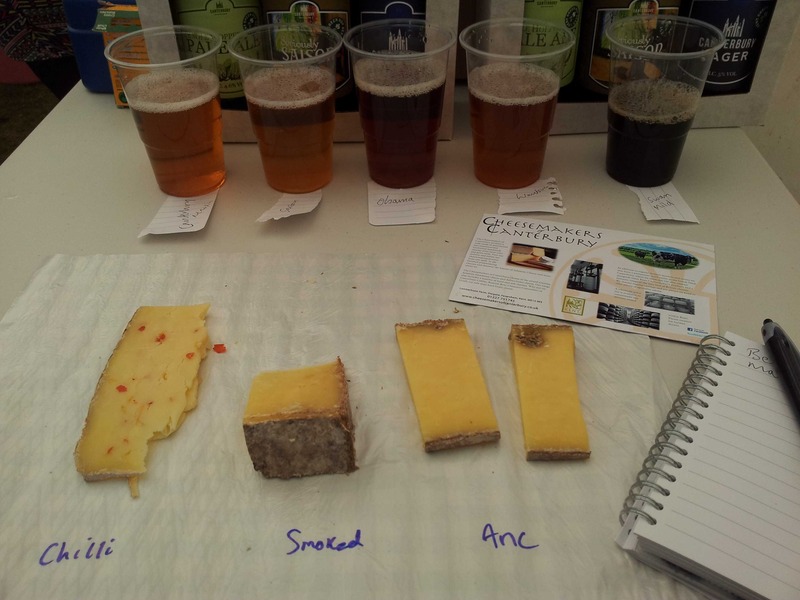 So it seems like the natural place to be holding a Kent Green Hop Beer and Cheese Extravaganza. Beer Sommelier, Sophie Atherton is hosting the event (and writing this… weird to write about myself third person!) in collaboration with Sean Ayling and Robin Wright of Pig & Porter. Sophie’s first meeting with Robin of P&P involved him recommending some cheese to her so she is excited to be working with him to pair cheeses with Kent Green Hop Beers. Purest Green (4.5%) Pale ale hopped with EKG. Strong(ish) pale ale with resinous, grassy quality. Tallyman’s Special (4.5%) Best bitter hopped with Canterbury Whitebine – rare hops from the National Hop Collection – this light-coloured best bitter has a dry finish. We may also have a green hop beer from Westerham Brewery… this and cheese pairings tbc. So come and drink Kent Green Hop Beer and eat cheese with us at 7pm, Monday 29th September at Fuggles Beer Cafe, Tunbridge Wells! Tickets/entrance fee for the event: £5 to cover 1/3 pint of each beer and cheese to go with it. ← Kent Green Hop Beer List 2014!